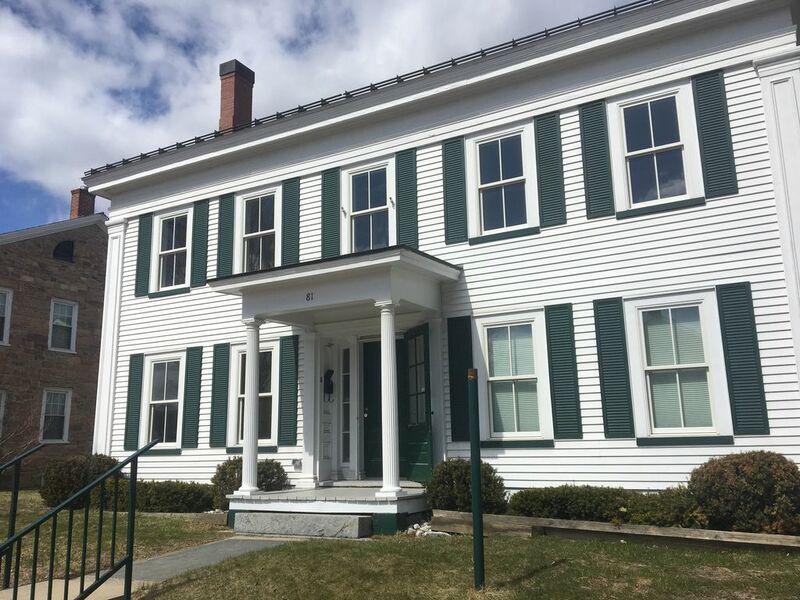 2 bedroom apartment in a beautiful, historic house in the heart of Winooski (81 East Allen Street). This unique building offers classic living with hardwood floors, over-sized windows, 1 bathrooms (new), master bedroom, and new appliances including dishwasher, washer/dryer, and gas stove. Two minute walk to downtown restaurants and bars. Off street parking for 2 cars, brand new A/C and heating systems, and air circulation (ERV). Im a builder of things. My wife and I really enjoyed staying at this property. We loved the spacious open-space concept, the comfortable furnishings, and the ideal location to the Winooski River Walk, restaurants, and cafes. We could walk everywhere without the need to hunt for parking or fight traffic. Just a mile from Burlington, and a quarter mile to the interstate entrance it makes it easy to take day trips to the countryside or to Burlington itself. This apartment was much nicer and much bigger than the photos. Loads of parking. One note, this flat is on the ground floor and the windows of the main bedroom face on a busy street. It got loud at night with lots of cars and occasional loud pedestrians and it was tough to sleep. This apartment is in a very good location. Close to highway access and several coffee houses and restaurants. The owner was ready to help quickly with any concerns. The place still smells from new paint and varnish which did bother us but should go away with time. It’s a large apartment, but the third ‘bed’ mentioned was a camping cot and not comfortable. Overall a very good value and quality place. Very nice rental in a great location! Steps away from some very cute shops, bars, and restaurants. Very clean and well kept apartment. Would absolutely stay here again. Easy check in and check out. The perfect spot in Winooski. The property is all new construction within a historic home. The unit has full climate control and all new appliances. Winooski town center is a 5 minute walk away. There are multiple dining choices and bars within walking distance. The property had great off street parking. We were able to travel in and out of Burlington with little trouble and Rt15 is at your front door. I cannot find one thing of any consequence to complain about. We really enjoyed our stay here and will book this property again, when traveling in VT in the future. Great place, great location, everything was brand new. We would stay here again without question.